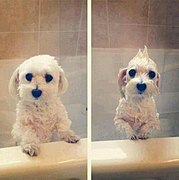 Hi, and welcome to those of you who want to become a dog groomer and own your own business. Well done, owning your own business has many benefits. You will need to know a few things about Dog Grooming before you race out there and start grooming dogs so I have put this article together to give a few tips to get you started. Dog Grooming Course – where to go? Firstly it is really important to learn your craft. Grooming dogs may seem easy and when you learn the skills required it will become second nature to you, however, my suggestion here would be, do a dog grooming course 1st so you learn everything you need to know to become proficient in this field. My daughter is currently doing a course online to become a Dog groomer and she is really enjoying it, she said it covers so much about Dogs and she said it is a must do. Here are some links to courses you might want to take a look at. If you prefer you could always learn from a professional dog groomer if they allow you to and do hands-on training, however you may still want to go online and learn the craft in depth. You will see what I mean when you take a look at some grooming training sites. OK, so you are nearly at the end of your training and you are thinking about where to create your business. 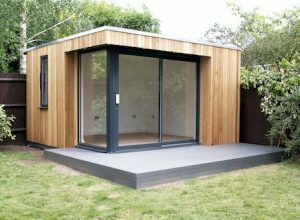 Ideally, it would be great if you had space at home, somewhere like a sleep out, shed (obviously you would have to make it look great) or you may want to invest in leasing a small building where your business gets a lot of foot traffic. Only you will know what is best for you. Equipment- What you will need? When setting up a Dog Grooming business you are going to need specialized equipment so here is a list of a few things you will need. I’m sure there are more things and this is a good start. 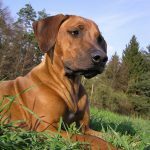 As you know Dogs come in all shapes and sizes and you are going to need grooming products to suit the needs of different dog breeds so here is a list of a few items you will want to buy. I’m sure there are more things but this again is a great start for you. The first thing to do is give your business a name – Make it appealing to dog lovers, fresh, modern and fun. For example, Dog grooming is not a brand name. Let’s say you choose – Daves Dog grooming services. Simple and connecting by using your name. Good luck and have fun doing this as it is going to be a name you often use for hopefully a very long and successful time. Marketing any business is vital to ensure business growth and a Dog Grooming business is no different. You could start by offering to groom a friends dog at no cost and ask them to spread the word for you. Word of mouth marketing builds a reputation. Business cards on the reception desk and also handing them out every time you see someone out walking a dog. Stop, smile, and offer your services, give them a card and thank them. Simple marketing. Social media of course. Everyone loves it and businesses thrive from it, Facebook, Pinterest, Google+, Instagram of course and there are more so utilize these resources. You may want to have a website, another good way to spread the word and get feedback from clients who have used your service. This will surely help your Dog Grooming Business grow. Creating special offers is another good one. Loyalty cards offering maybe 3 grooming 10% off your next one or something similar- just a thought. Owning a business- what does this mean? Owning any business has a serious side such as taxes, GST in some countries so it is a good idea to have this ready to go before you begin your new dog grooming business. Keeping a record of everything, expenses, purchases, and income is so important and there are different packages you can buy to keep this side of your business running efficiently and it is cost saving when it comes to the end of the year tax returns. Accountants are also great however if you can do a lot of this work yourself you will save hundreds on fees in the long term. There are accounting sites such as Accounting for Management and many more you can join and pay a fee and they are a reasonable cost considering what they allow you to do and they save hours of work for you which means you can focus on your business. If you prefer however to use an accountant this is great too. UP to you, just giving you some ideas. If you have any questions please email me delightfuldoggies4u.com or comment below and I will get right back to you. Hello Vicki, this is some useful, and helpful information. My little sister wants to become a dog grooming, she loves animals to death. I will inform her about your content on dog grooming asap. Thanks again, and continue to do what you do!!! Nice information and useful links. I have a friend who actually became a dog groomer recently, in Chile. I know a bit more about the job and the necessary equipment, thanks tk your article. Cheers!! Hi I love your site. I had considered opening a dog grooming company. If it happens in the future I will be returning here for more information.